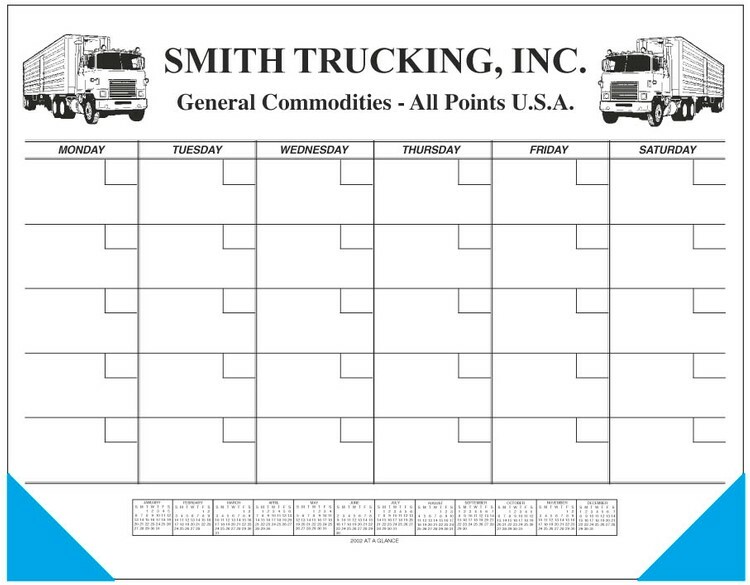 Jumbo weekly desk planner features 50 sheets. Every page is the same. Calendar is padded at the top with two hand made leatherette corners. Supply your own layout at no charge (must be camera ready). If you have been ordering Barton Nelson B840 , this product is the same.